Even though removing window tint can be a tedious process, it is important to do it properly before installing new material. This article will give you the best methods for removal so you don’t have to spend hours doing it. Learning how to remove tint yourself can also save you hundreds of dollars on professional removal! As you probably know by now, window film is applied with a water-activated adhesive. This adhesive is what holds the film on the window. In order to remove the film, it will have to be scraped straight off or loosened off with various solutions. It is usually best to use a combination of both methods. When scraping film however, be careful what tools you use and what types of glass you scrape. Always use stainless-steel scraper blades, which do not scratch glass as easily. Also, check to make sure your windows are not tempered (heat treated). This type of glass will scratch very quickly and should never be scraped. 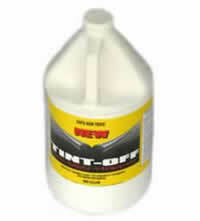 If you are learning how to remove tint for other customers, be sure and check out the Tint-Off chemical here. The first step in any removal situation is to see how easily the film comes off. The longer window film has been on a window, and especially if it has been exposed to direct heat and light, the more ”baked” the film will be on the window. Start by scraping a corner of the film with a stainless-steel scraper blade. Scrape enough off to get a good hold of it, then pull the film down as much as possible. It should then continue to come off in strips. Once it is all off, you can remove any excess adhesive with warm water and soap or window cleaner. If the film refuses to peel off easily, there is a chemical called Tint-Off that will help to loosen the adhesive. Soak the film with the Tint-Off and cover it with a black trash bag. Let it sit in direct sunlight for 1-2 hours. This should help the adhesive release from the glass, and scraping the film off should be much easier. The same methods apply to flat-glass windows. You should be able to start at a corner of the film and pull it off the window in strips, then clean any excess adhesive off. Again, be sure to NOT scrape tempered glass. You can use Tint-Off as well if the film is too hard to remove.